More progress on the BMP. 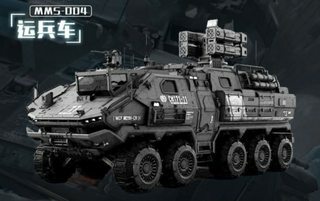 It's a 1:35 IFV From Walking Earth, set to be released this year by Meng. You don't get much more what-if. So an update. Just picked up a nice Osprey series book on the T-64 and according to them, by the 80s T-64s were in a 3 tone camouflage, applied at the factory. Sounds like maybe camo for 1984 would be in order for the tank, if not the BMP. The German diorama set of the bus stop is in the mail. I've been distracted by a 1/32 B-24J project, but will get back to this one anon! Ah, Wildflecken. I never made it there in the summer, but rather in the dead of winter, 1984. 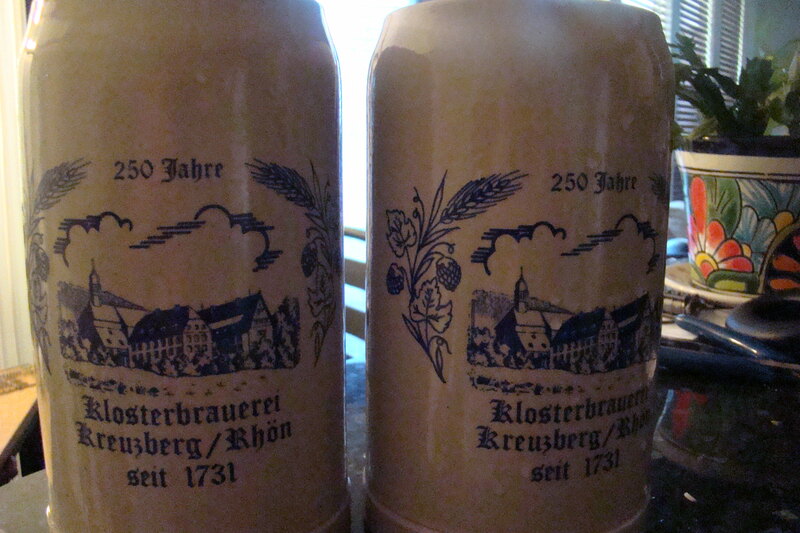 I got my Schuetzenschbur there, and of course visited the Klosterbrauerei, where we were authorized one liter of beer. Somehow I drank two, at 155 pounds. Oh yes, I definitely remember the cold, even in Stuttgart/Heidelberg. Now that we'er into the New Year, I'll be getting back to this one...made progress on BMP interior and am cobbling together the driver as well as other passengers. Stay tuned! Hill 808 Wildflecken 4th of July 1977-- I remember it well-- woke up in the bivouac area, crawled out of my tent, and looked up at hill 808 that morning only to see the hill covered in snow!! First time I'd ever seen snow in July! It was gone by noon, but Wildflecken stayed cold all that day. 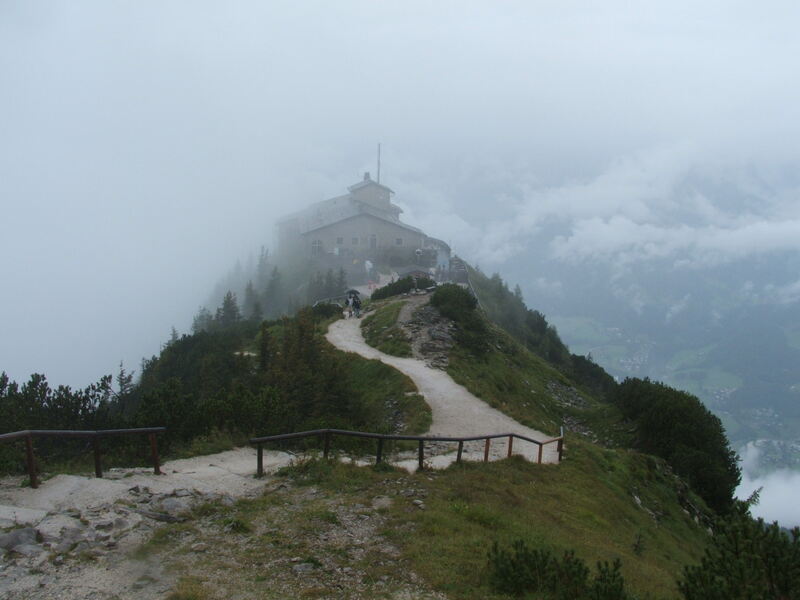 Wildchicken was cold summer or winter, it was miserable whenever my Squadron picked to go there. I broke my foot there in the summer of 1979, on the scout course-- that was the only time I'd been there when it was warm enough to sleep outside without my fart sack. I still remember the summer of 85. I think there were maybe 3 weeks the whole summer where it didn't rain. From my experience in The Army in Germany from 86-88, we were told that the various nations of the Warsaw Pact, Poland, East Germany, etc, would be equipped with the T-55, T-62, and T-64 variants spattered with some T-72's but the better armor was reserved for the good ol CCCP. Theory being that we'd use up our ammo on the crappy ones. Ah, 1984. I waited until then to actually read Orwelle's 1984. Walking around East Berlin back then, he wasn't off by much. So, having been surrounded by twenty five Soviet divisions, we were just a bump in the road for them. Their doctrine back then was for the first two echelons to be comprised of older tanks, and to drive forward, bypassing any obstacles and pockets of resistance. Third and subsequent echelons with better tanks would then take the rest out. I did I diorama back then of a T-62 going through a drive thru. I use the embossed logo from a McDonalds coffee cup lid, and the McDonalds raised name from a spoon I think. I thought it was pretty cool. Someone from there may still have it today. Remember, Berlin can get pretty cool even in the summer - Kontinentalniy Pogoda. Oh yes. Same in Schwabenland, too! Depending of course on what I'm trying to depict I often festoon my models with camouflage - both nets, scrim and foliage. The latter can be a bit of a bind, in identifying something appropriate or using the etched leaves/branches which are available. However, the effort is often worth it as I just feel it makes the vehicle a little more warlike and aggressive - if you know what I mean. The key is also to not totally obscure the model (although that would indeed be very true to life) and leave enough (of the kit) visible so the viewer can at least identify it. Good luck with whatever you decide - and keep it up. Oh, I have some ideas. Soviet vehicles never seemed to be covered in sleeping bags and tarps, but I am going to add some geschrafus to the interior--pics I've seen of the BMP are cluttered. I missed doing the grey floor--I've already painted it off white and dirtied it up. Going to leave it as is. Will hopefully reflect light better. Need to paint inside of doors green--kit has some really bad color call outs--not everything inside is "white." Starting to pose some figures, too. Will get some pics up, hopefully after a weekend of activity. Other thoughts/questions--vehicle markings. I'm assuming maybe tactical numbers (and maybe not even those) and not much else. Thoughts on shoulder boards/branch of service patches. Would those be worn in combat? Looks like maybe so. Keep the Faith Tim - 'looking very forward to what you'll do with this! Really getting back into this one. More changes. BMP-2 and T-64. I've built a bunch of BTRs, but oddly no BMPs. That's the main reason, plus the two more modern vehicles will look cool. Well. Kind of ironic this has been taking forever (work, life, other projects, etc). Hoping to get back to this shortly. Yes, this is still a going concern. I just got sidetracked by other projects, temporarily. My thought being that the troops' nationality would be determined by the vehicles? That was the rule of thumb. But in 84 I'm sure not everyone had BMPs and 72s in GSFG. Thats my plan so far, anyway. Some of my tank/APC crews are resin--old Verlinden, mostly, though there are a lot more for the later 80s, 90s and 2000s. MiniArt is doing a Cold War tank crew according to their website, but no sign of it yet. Right now I'm using mostly ICM, Trumpeter, Dragon/DML and MiniArt.